Recap: Wizards blow lead, hang on to beat Bucks 106-101. The Wizards blow a 17-point lead but hang on to win, 106-101. Once again, seven Wizards players scored in double figures tonight led by John Wall with 19, Sessions and Beal with 15 and 11 respectively off the bench, and Jared Dudley who had 13 of his own. 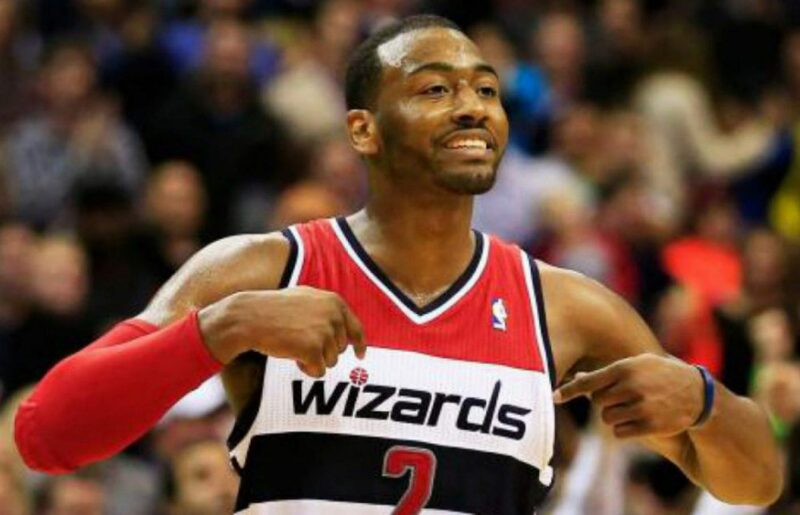 The Wizards may be playing their best basketball of the season as they are currently riding a 3-game win streak. to give the Wizards an early 23-12 lead. Bradley Beal saw his first playing time in over a month and he looked like he hadn’t missed a beat. Beal went 3-3 for seven points off the bench in the first half of his return. The Wizards rode the hot shooting from Beal and opportunistic team defense to take a 56-43 lead into halftime. The third quarter was one to forget. The Wizards shot just 26 percent from the field in the third quarter as the Bucks outscored the Wizards 31-15. The Wizards’ once 17 point lead evaporated as the Bucks led 74-71 after three. The Wizards turned on the defense to start the fourth. The Wizards turned the Bucks over on their first five possessions and opened the quarter on a 12-0 run. John Wall sliced through the Bucks defense for a nice dunk as the Wizards stretched the lead back out to 13, 93-80. Two late threes from Dudley all but sealed the deal as the Wizards hang on and win, 106-101. Wizards lock down on defense: For the third game in a row, the Wizards were very active on the defensive end. This time, turning the Bucks over 27 times resulting in 36 points for the home squad. The Wizards recorded seven steals in the first quarter led by Garrett Temple who had 5. The Wizards ended the night with a season-best 18 steals. Kelly Oubre was a huge spark off the bench: Oubre only played nine minutes tonight but made every one of them count. The rookie hit a corner three at a key moment when the Bucks were chipping away at the Wizards lead. Oubre was also very active on defense as evidenced by his two steals. It was a bit odd that we didn’t see Oubre enter the game until the third quarter even though Otto Porter got injured in this game. Regardless, a very solid night for the rookie. Nene was the MVP tonight: In just his second game back from injury, the big man looked in midseason form. Nene ended the night with 12 points, 3 assists, and 2 rebounds but his presence was heavily felt on the defensive end. The big man had to guard Greg Monroe, which is no easy task, and was often the only Wizards player on the court above 6’8. Nene was very effective scoring 12 points on 5-7 shooting and completely turned the game around with his energy on the defensive end in the fourth quarter. Previous postRecap: Wiz drop Bulls 114-100 with balanced attack. Next postRecap: Wizards get revenge, beat Pacers 118-104.